Why can’t the Chinese send their lunar rover to the site of the American moon landing, take a selfie next to the American flag and end the moon landing debate once and for all? It’s on the far side of the Moon, thousands of kilometers away from any of the six Apollo landing sites. No sane person in China or anywhere else in the world actually doubts that the Americans landed on the Moon. Do you think the true-believers in the Moon hoax conspiracy will be swayed by a Chinese selfie? They’d just accuse of China of faking the Chang’e landing too. They almost certainly do already. No one cares what a bunch of conspiracy nutters believe, least of all the Chinese. It wouldn’t end the “debate*”, because conspiracy theorists can always just claim that any new photographic evidence you present them with has also been faked. They will simply move the goal posts by suddenly invoking a broader conspiracy that both the Americans and the Chinese are somehow involved in. That is how conspiracy theorists operate, and why it is largely a waste of time to argue with them using actual evidence. The point of the mission was to visit the far side of the moon, i.e. areas of its surface that were previously completely unexplored. Visiting already-explored areas is a questionable use of money and resources, offering far less in the way of scientific return. I don’t think China is that eager to glorify past American accomplishments. *Note that this is not actually a debate. The moon landings occurred, and this fact is denied by some looney conspiracy nuts. Those pictures have already been taken been taken by satellites (by non-NASA agencies) in low Moon orbit for three (3) of the six (6) Apollo Moon landing sites. They have recorded the tracks of the Lunar rover, the blasts left by the takeoff rocket exhaust and even the flag left on the Moon. Case closed. BTW - The Apollo landing sites on the Moon facing Earth is too far for the Chinese rover to travel from their landing on the back side of the Moon. 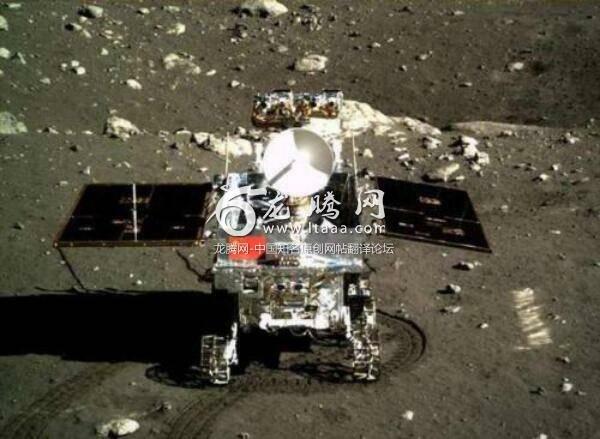 The current Chinese rover is on the far side of the moon, so probably about 5500 km away over some pretty rough terrain. And that's not to mention that most of these robotic rovers move at pretty low speeds. Willful ignorance cannot be overcome with evidence.